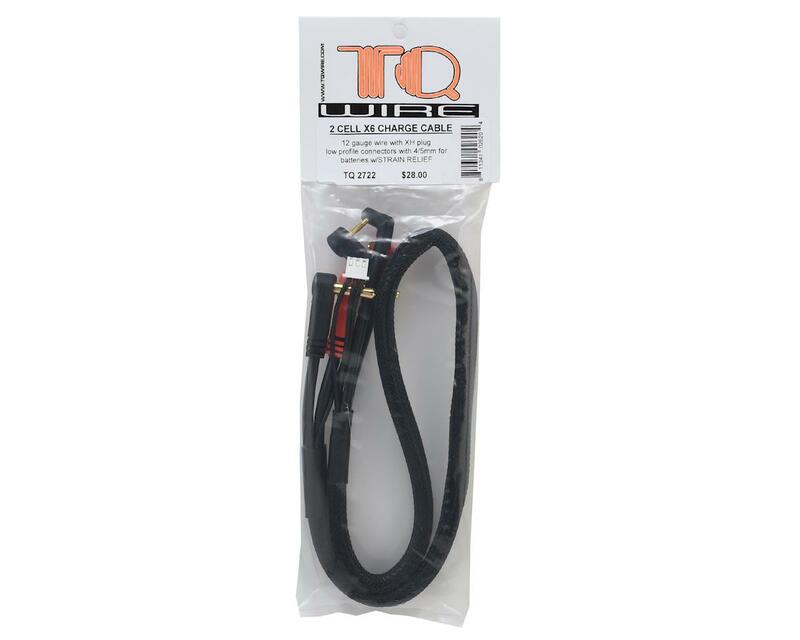 This is the TQ Wire 2S Charge Cable Lead, made specifically for the Junsi X6 iCharger (JUN-X6). This cable has the same features found in the standard TQ Wire 2S cable; like 12 gauge wires wrapped in black nylon mesh, plus stepped bullets so you can charge both 4mm and 5mm batteries and XH connector on the charger side. What makes this premium cable unique is the molded strain relief plug housing for the battery side bullets and balance port. The strain relief provides a more durable connection for the balance wires and incorporates “grippers” to aide in removal of the bullets from your battery. NOTE: The X6 Charger features an XT60 output for the charge lead; this TQ Wire cable uses low profile, 90° tubes as alternative, and they plug right into the XT60. 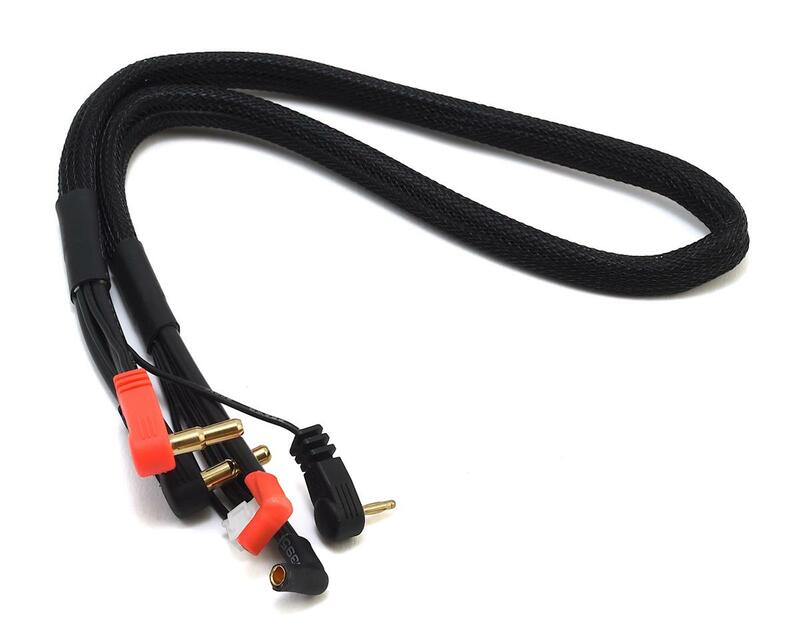 If you prefer, TQ Wire also offers a dedicated XT60 equipped 2S Charger Lead (TQW2723).